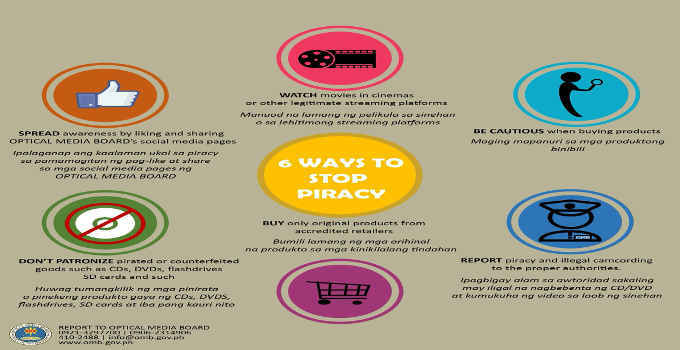 Here are the 6 ways you can do to stop piracy. Optical Media Board Contact Number. Report violations.